SAN FRANCISCO, April 5, 2013 – Wells Fargo & Company (NYSE: WFC) today issued its 2o12 Corporate Social Responsibility (CSR) Interim Report, announcing substantial progress toward sustainability goals the company aims to meet by 2020 or earlier. The report indicates Wells Fargo is on track to meet or exceed 13 of its 19 key sustainability goals in areas that include environmental financing, community development, foreclosure prevention, supplier diversity, and community service. 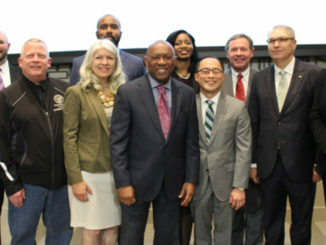 The report, which can be viewed at https://www.wellsfargo.com/about/csr/reports/, also highlights progress on five new goals supporting environmental sustainability and military service members and veterans. Wells Fargo’s seventh CSR report, Conversations that make a difference, outlines priorities, programs, goals and progress in the five focus areas that define the company’s comprehensive CSR strategy: environmental sustainability, community investment, product and service responsibility, ethical business practices, and team member engagement. Increased donations to environmental nonprofits by 80 percent over 2011 with nearly $8 million in grants. Invested more than $6 billion in environmental financing, including “green” building and renewable energy projects. Expanded philanthropic commitment to invest $1 billion in nonprofits by 2017. In 2012, Wells Fargo invested $315.8 million in 19,500 nonprofits, a 48 percent increase over the total donations for 2011. Increased investments in community development by 94 percent over 2011, with $7 billion in loans and investments in projects supporting affordable housing, community services and economic development in low- and moderate-income areas. Increased lending to American small business owners by 30 percent over 2011, with $16 billion in loans, helping to fuel entrepreneurism, job creation and economic self-sufficiency. Helped more than 1,600 new homeowners with $27 million in down payment assistance to purchase a home through 16 Wells Fargo LIFT programs. Increased team member volunteer participation by 8.2 percent over 2011, with 57,036 team members reporting 1.5 million community service hours. Increased delivery of free financial education by 37 percent through the help of 2,834 team members providing lessons to 153,902 students and families. Wells Fargo & Company (NYSE: WFC) is a nationwide, diversified, community-based financial services company with $1.4 trillion in assets. Founded in 1852 and headquartered in San Francisco, Wells Fargo provides banking, insurance, investments, mortgage, and consumer and commercial finance through more than 9,000 stores, 12,000 ATMs, the Internet (wellsfargo.com), and has offices in more than 35 countries to support the bank’s customers who conduct business in the global economy. We want to help all of our customers succeed financially and support long-term economic growth and improved quality of life for everyone in our communities. In 2012, the Company invested $315.8 million in grants in 19,500 nonprofits, and team members contributed more than 1.5 million volunteer hours around the country. For more information, please visit:www.wellsfargo.com/about/csr.